In the year AD 1098 a spruce tree was chopped down in the Chuska Mountains, which run roughly along what is now the border between Arizona and New Mexico. We don’t know who cut it down, exactly, since the people living in the area at the time had no system of writing and have therefore not left us any explanation of their actions. We do know why it was cut down, however, and what became of it, and that gives us some clue to who might have wielded the axe. 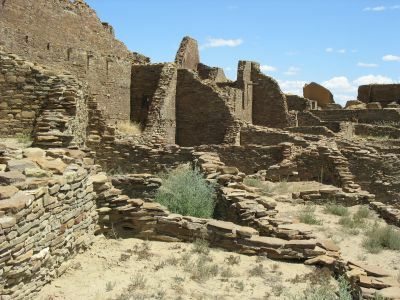 It was likely either the local inhabitants of the Chuskas or the inhabitants of Chaco Canyon, 45 miles to the east, who had close connections to the Chuskas and may have traveled there regularly to do things like cut down trees. After the bark and branches of the tree were carefully stripped from the trunk, and its ends laboriously ground flat, it was probably left to dry out for a couple of years. 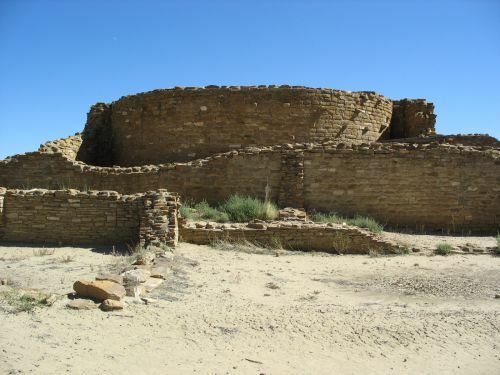 At the end of that period, a group of men carried it carefully, by hand, the 45 miles to Chaco, where it was used in the construction of Kiva G at Chetro Ketl, the prominent elevated round room that can still be seen prominently at the site today. This room was built over the remains of earlier round rooms, and the architectural history of this part of Chetro Ketl is very complicated and hard to unravel. 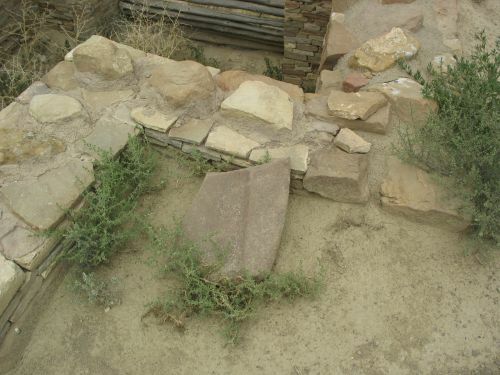 This particular beam, now known as CK-168, was used as a “tie beam” in the northeast corner of the square room into which Kiva G was built. 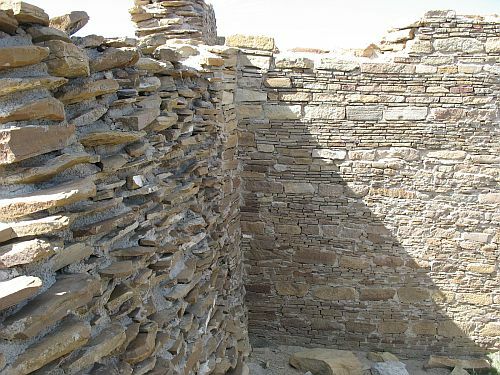 I take this to mean that it was used to span the interstitial space roughly tangent to the outside of the circle of Kiva G as part of the elaborate support structure of beams that was necessary to support the “blocked-in” kivas like this one that are so typical of Chacoan great house architecture. 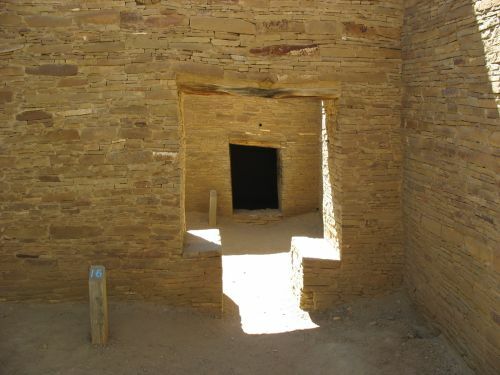 The stage of construction involving Kiva G, and therefore beam CK-168, was one of the latest at Chetro Ketl, and Kiva G is noteworthy for displaying the “McElmo” style of masonry, which is a relatively late style at Chaco that echoes the style of masonry found to the north at sites such as Aztec Ruins. 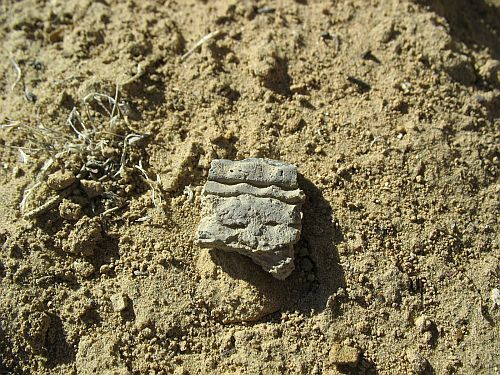 We know when and where beam CK-168 was cut down because of two types of analysis that have been done on this and many other pieces of wood from Chaco and other prehistoric archaeological sites in the American Southwest. The first is tree-ring dating, which allows the determination of the date a given tree was cut down with amazing precision, potentially to the calendar year. Not every beam that is analyzed produces what is called a “cutting date,” indicating the exact year in which it was cut, but CK-168 did, and this is how we know it was cut down in 1098. The other technique, which was developed much more recently, is strontium isotope ratio analysis, which at its current level of development allows the determination of the general area in which a tree (or a person) lived. Many fewer pieces of wood have undergone this type of analysis than have been tree-ring dated, but CK-168 is one that has, and it is from this testing that we know it came from the Chuskas. We don’t know exactly where in the Chuskas it came from, but we can be reasonably sure it was somewhere in the range. 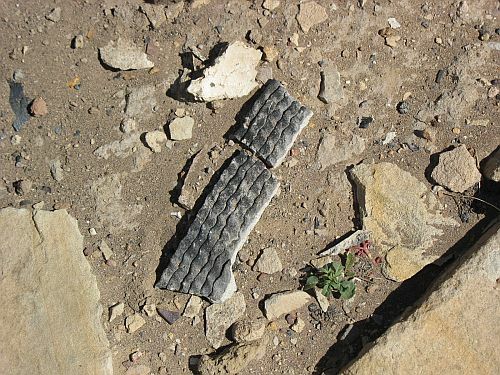 These techniques are more or less the state of the art in wringing information from the archaeological remains of the prehistoric Southwest, and the amount of information available from them in this arid region with good preservation of materials like wood is quite remarkable by the standards of prehistoric archaeology in general. At the same time the tree that became beam CK-168 was being cut down and left to dry out, on the other side of the world a group of heavily armed men was rampaging through a country that was not yet under their control but soon would be. These were the Crusaders, a group of pious Christian knights and others, mostly from the various lands that are now part of France, who had heeded Pope Urban II’s call in 1095 to aid the Byzantine emperor in fending of the Turks who were threatening his lands and who at some point added the goal of conquering the holy city of Jerusalem from the Turks as well. This expedition is now known as the First Crusade, and by 1098 it had reached the Holy Land and begun to conquer parts of it. In June of that year they captured the important coastal city of Antioch (now in Turkey) after an eight-month siege and began to move on toward Jerusalem. 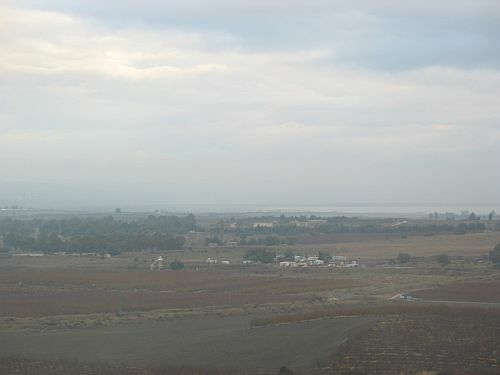 One group, under the command of Count Raymond of Saint-Gilles, arrived at the nearby city of Ma’arra (now in Syria) on November 28 and began to lay siege to it. 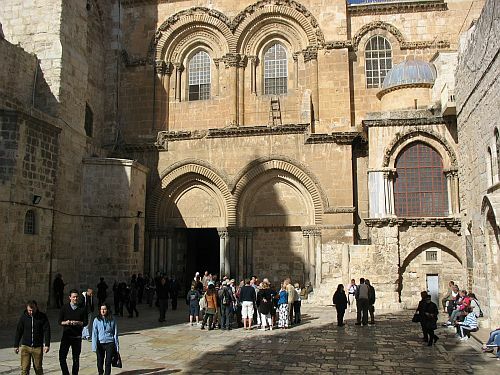 This siege, in striking contrast to the long, miserable one at Antioch, lasted only two weeks, and on December 12 the Crusaders entered the city after having destroyed its defenses. They then remained at Ma’arra for another month as Raymond and the other commanders who had assisted him in the siege argued over how to divide up the spoils of their conquests. On January 13, 1099 the ordinary soldiers, who were impatient to get to Jerusalem, finally prevailed on Raymond to move on and the army left Ma’arra. 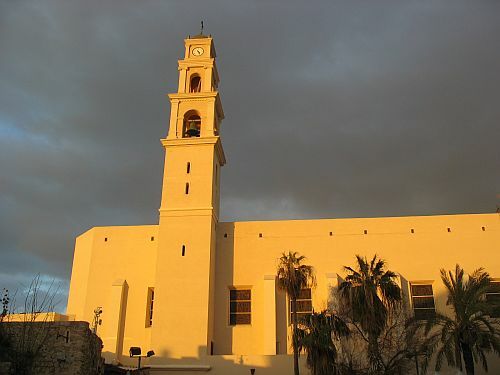 They reached Jerusalem in early June and, assisted by a group of Genoese sailors who landed at Jaffa on June 17 and disassembled their ships to make siege engines, seized the city on July 15. They then massacred the majority of the inhabitants. In the grand scheme of the Crusade, and compared to the brutality that marked the Crusaders’ actions at Antioch and Jerusalem, the siege of Ma’arra may seem like a minor chapter. There was something distinctive about Ma’arra, however, and it remained a painful memory for both sides quite out of proportion to the short duration of the siege. The Arab historians recorded that the massacre of the people of Ma’arra after the siege was even worse in total number killed than that at Jerusalem, and some reported that the Crusaders had promised the people of the city safety before treacherously killing them. According to the chroniclers who accompanied the Crusaders, however, what happened at Ma’arra was even worse than that. With clear discomfort but remarkable consistency, almost all of the chroniclers recorded that some of the Crusaders had engaged in an activity much less respectable in European eyes than killing Muslims: eating them. Rubenstein makes some interesting connections between all this and various other medieval references to cannibalism, including various episodes of starvation cannibalism during famines in Europe and references to “theatrical” mock-cannibalism involving the ostentatious preparation of dead enemies as if to eat them in view of living enemies, including one instance allegedly during the siege of Antioch and one earlier, in Spain. He also mentions Biblical references to cannibalism as a punishment for disobeying God, with the context often being siege warfare quite similar to that conducted by the Crusaders, as well as some suggestive references to the possibility that some Crusaders might have resorted to eating each other (or at least come close) during the long, hard months at Antioch. This is all rather speculative, however, and most of it has one crucial difference with the reports of what happened at Ma’arra, which Rubenstein does acknowledge: in these cases people were generally eating members of their own group, while at Ma’arra all the chronicles are quite clear in saying that the Crusaders only ate the flesh of the Muslim enemy. This alone suggests that more than simple survival cannibalism is involved here, since there would surely have been plenty of dead Crusaders around to eat and the contempt the Crusaders had for “infidels” makes it odd that they would choose to defile themselves by eating them. Rubenstein notes this and comes up with an admittedly speculative reconstruction of what happened at Ma’arra in which he proposes that there had been scattered instances of survival cannibalism at Antioch and perhaps earlier but that at Ma’arra, during the siege, some of the starving Crusaders decided to make a virtue of a necessity by ostentatiously eating dead Muslims in full view of the defenders of the city as a form of psychological warfare. This would presumably have struck fear in the hearts of the Muslims and perhaps led to an easier conquest of the city than had been the case at Antioch. Upon learning about this, however, the chroniclers, highly uncomfortable with this celebratory cannibalism, finessed their accounts to put the cannibalism after the siege, attribute it to starvation, and make it furtive and discouraged rather than open and aggressive. Rubenstein puts the celebratory cannibalism in the context of “holy war” and the idea that the Crusaders thought of themselves as tools of God sent to punish the Muslims, which justified anything they did in the course of achieving that aim, regardless of how perverse and taboo it might be under normal circumstances. This is an interesting interpretation, and it is similar in some ways to the model I have proposed for the outbreak of cannibalism in the Southwest around AD 1150 (about fifty years after the Ma’arra incident) in which I argued that the attackers, whoever they were, may have been motivated by both hunger and the desire to terrify their adversaries. I ultimately don’t buy it, though. A careful look at how Rubenstein supports his argument shows that the sources he relies on are not the most likely to be reliable. The chronicles that put the cannibalism at Ma’arra during the siege rather than after it, as well as those that mention the possibility of earlier cannibalism and various other aspects of Rubenstein’s theory, were mostly written well after the events in question by people who did not witness them. Most of them did apparently speak to eyewitnesses in preparing their accounts, and in some cases these eyewitnesses may have included some of the cannibals themselves, a fact that Rubenstein leans on heavily in arguing for their validity as sources, but this is a thin reed on which to hang such an elaborate argument. Looking just at the chronicles written by writers who actually accompanied the Crusade, some of whom were at Ma’arra personally, they generally seem to agree that the cannibalism took place after the siege, when the Crusaders were hanging around Ma’arra and probably still hungry from the months of deprivation and disease at Antioch. These chroniclers do disagree on some other aspects of the cannibalism, but in general their disagreements are more minor than those between them and some of the later accounts by writers who were not there and relied on secondhand testimony. The fact that only Muslims were eaten does still require some explanation beyond simple starvation, but a desire to humiliate the enemy, perhaps combined with an aversion to eating people they had known personally in life, could explain it at least as well as an attempt at psychological warfare, which as Rubenstein notes really requires that the cannibalism took place during rather than after the siege. It may be a better explanation, in fact, in light of the fact that the Arab historians do not mention the cannibalism although they do note the brutality of the siege and massacre. This suggests either that the Crusaders were unsuccessful in trying to terrorize the Muslims through ostentatious cannibalism or that the cannibalism took place after there were no living Muslims left in Ma’arra to see it. It could also suggest that the cannibalism was successful in intimidating the defenders, who were then massacred, leaving no one left to tell other Muslims about it, but the fact that the eyewitness chroniclers were in general agreement that the cannibalism took place after the siege makes me think that it’s more likely that there just weren’t any Muslims around. Note the difference here between Rubenstein’s interpretation of the cannibalism at Ma’arra and mine. This is a context where we have abundant written documentation of the events in question, and yet we have a variety of possible interpretations of what really happened and no way to tell for sure which is closer to the truth. We must just rely on which fits the evidence best and is the most plausible, a somewhat subjective matter at all times. 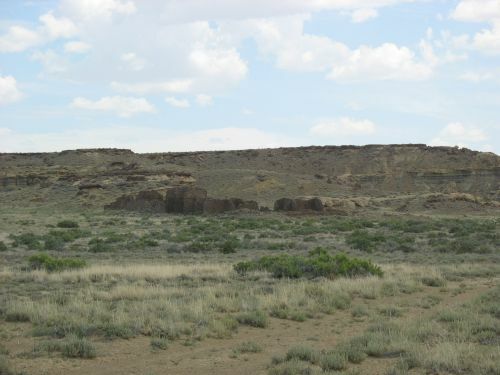 This is in contrast to the more “objective” evidence we have of what happened in some contexts in the prehistoric Southwest, such as the time and place that beam CK-168 was cut down. Note, however, that the information we have about CK-168 is extremely limited compared to what we know about Ma’arra, despite the many conflicting accounts in the chronicles. These just aren’t comparable levels of knowledge, and this points out the difference between history and archaeology. Both can tell us stories about the past, but the stories are very different. 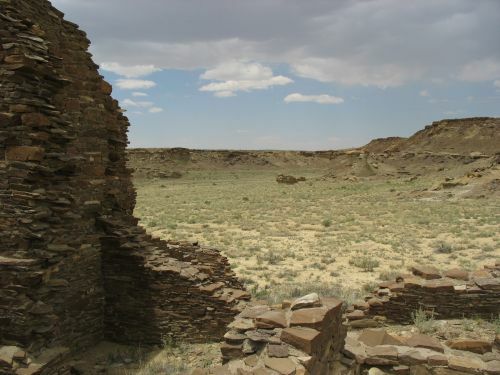 Without the written documents about Ma’arra we would likely never know that cannibalism occurred there; unlike in the alleged instance of cannibalism in the prehistoric Southwest, which are based largely (though not entirely) on extensive “processing” of human bones. 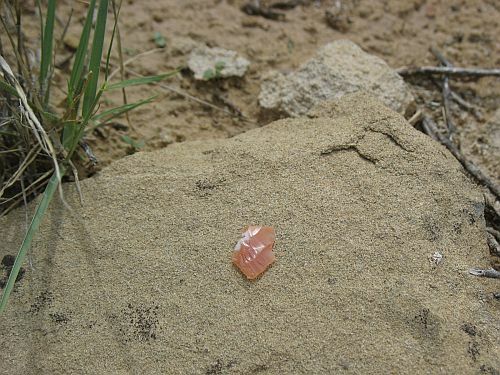 The type of cannibalism alleged at Ma’arra consisted largely of the cutting of strips of meat from the fleshy parts of the body, which would likely not have left any marks on the bones and thus no physical evidence visible in the archaeological record. But because we do have written records we do know about it. 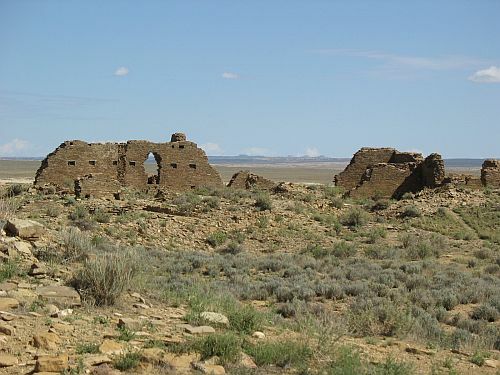 If we had written records of what happened at Cowboy Wash we would presumably understand it better than we do, but the example of Ma’arra shows that we would not necessarily understand exactly what had happened even then. Archaeology has its advantages, however. 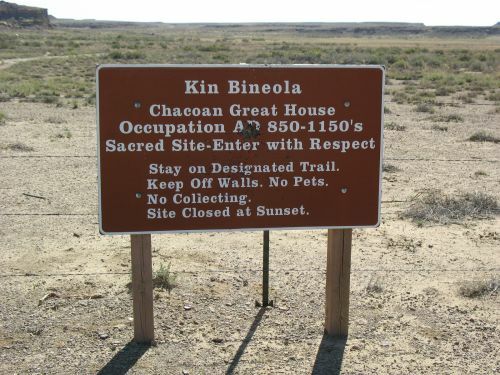 Judging from what people typically write down when they have access to writing, it’s very unlikely that anyone in the Chuskas or at Chaco would have bothered to write down exactly when and where beam CK-168 was cut down even if they could. 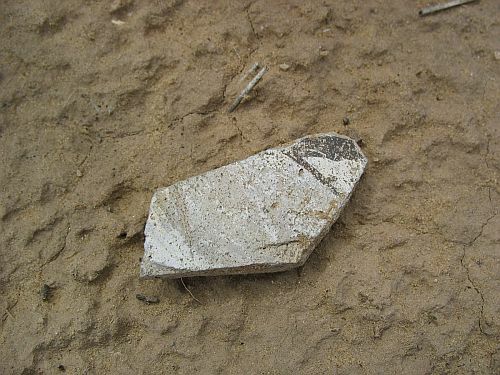 Hundreds of thousands of beams were imported to Chaco during its florescence, and it’s unlikely that the specific origin of each of them would have been important enough to anyone to record. 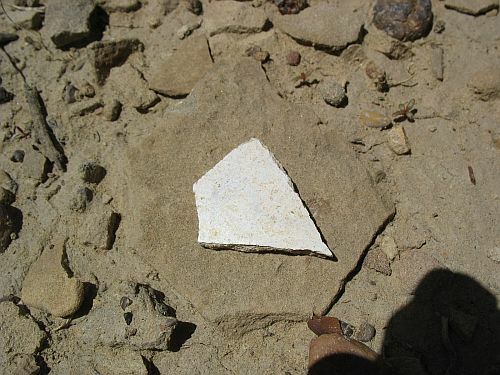 Nevertheless, the analytical techniques available to modern archaeology does allow us to know in some cases when and where individual beams were harvested. The story of CK-168 and the story of Ma’arra may be very different types of story, known to us in very different ways, but they are both known to us, and knowing both of them enriches our understanding of the past despite the still unanswered and perhaps unanswerable questions the stories raise. And remember that these two stories happened at the same time; they were literally simultaneous. Many things were going on in the world in the year 1098, and the stories of most of them are lost forever. The stories of these two events, however, are not, and we can still tell them today. 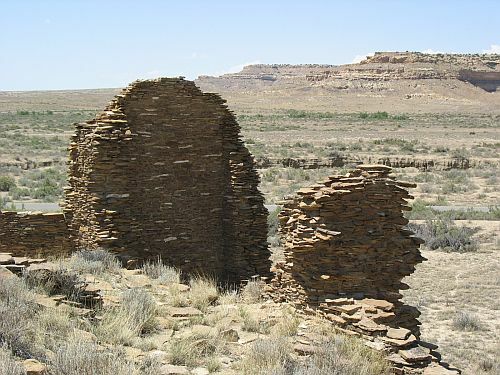 I’m certain it is not for lack of knowledge that he doesn’t mention that some think Chimney Rock was an outpost for gathering wood that might have been floated as far as Chaco. I don’t know if there is any merit to this idea. 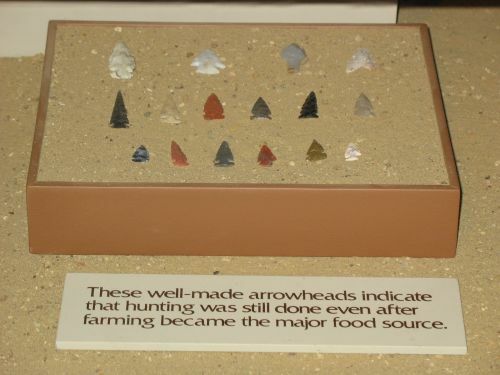 However, waterways may explain why wood would come from some areas and not others. 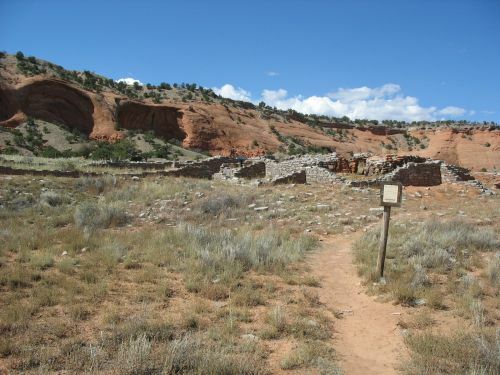 In particular, Jemez may not be upstream from Chaco. I am indeed aware of this idea, and I don’t buy it. I see a variety of possible objections, some more reasonable than others. 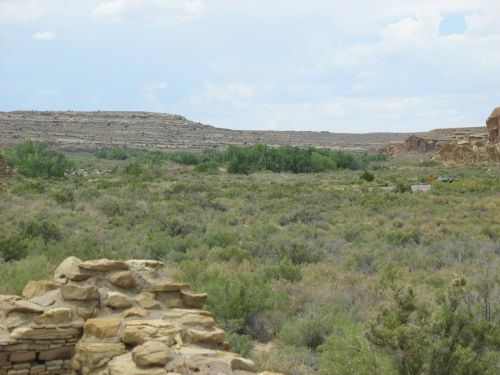 Chimney Rock is about twice as far from Chaco as any of the established sources for timber. 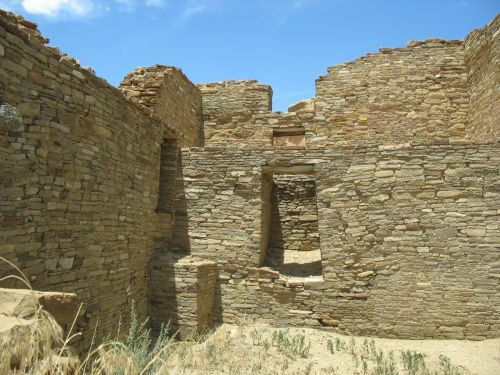 I don’t think this is really the strongest objection, since arguments that the Chacoans are unlikely to have done something because it was impractical or inefficient tend to founder on the considerable evidence that the Chacoans did all sorts of things that were impractical and inefficient. They really seem to have had access to virtually unlimited amounts of labor, and they used it in all sorts of ways that don’t seem to make much logical sense. 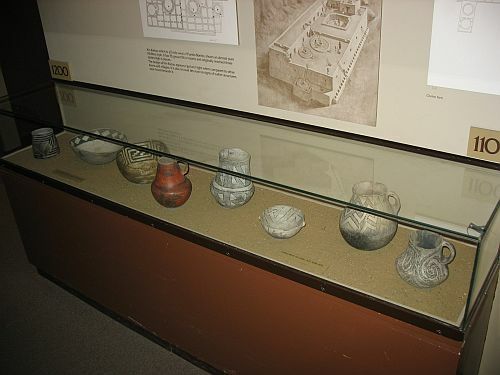 There’s no clear evidence that any of the wood at Chaco came from Colorado. While the spruce/fir study I mostly focused on in the last post didn’t look at the La Platas or San Juans as possible sources of timber, the subsequent ponderosa study did, with ambiguous results. 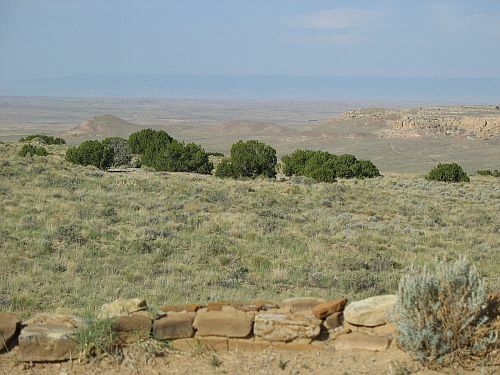 The strontium isotope ratios they found for the Colorado mountains overlapped with those for both the Chuskas and the Hosta Butte/Lobo Mesa area to the south of Chaco (which wasn’t included in the earlier study because it’s too low for spruce or fir). 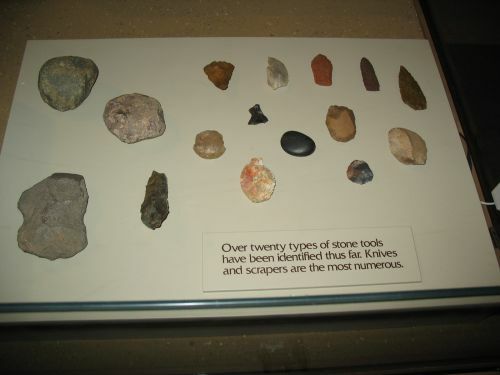 While they did find some wood with isotope ratios in this range, with the data they had it was impossible to tell if it came from Colorado or from the other areas with similar ratios. 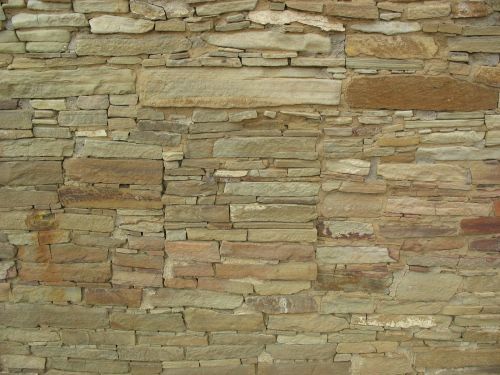 There is considerable evidence that at least some of the large primary beams were left to dry for a few years after being harvested, presumably to reduce their weight. Floating them down a river after this would waterlog them and totally undo any effect of the curing. 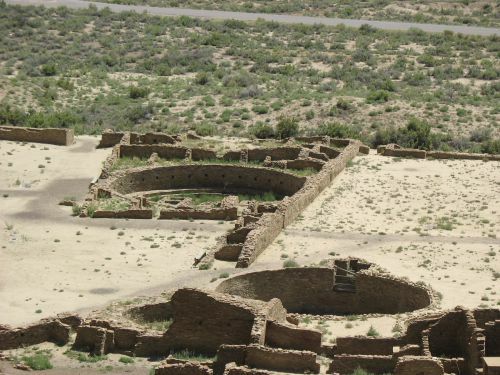 This is particularly important since even after being floated the beams would still have to be carried the thirty miles or so from the San Juan River to Chaco. While I’m generally skeptical about arguments based on practicality, for reasons mentioned above, the evidence for curing makes this one more plausible than most. If the beams were in fact floated, they would presumably end up with a lot of scratches and scuff marks from hitting things in the river. Floating logs down a river, especially with the technology the Chacoans had available, is not the easiest method of transportation to control. And yet, the beams found at Chaco are remarkably pristine. There’s barely a scratch on any beam in the whole canyon. 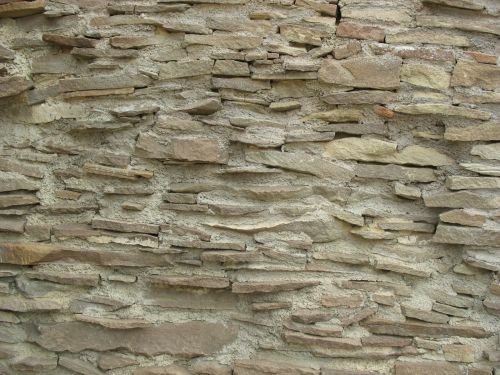 There aren’t even any axe marks from debarking, which is in striking contrast to beams at other sites such as Mesa Verde. This suggests an amazing degree of care taken in the transportation of the beams, which is very hard to imagine if they were ever floated down a river. I think this is probably the most devastating piece of evidence against the flotation theory. 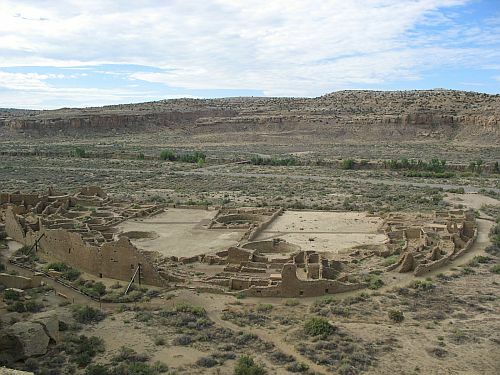 This idea isn’t actually consistent with beams being floated down from Colorado, since they could only be floated as far as the San Juan River and would then have to be carried the remaining 30 miles to Chaco. It’s hard to see how an emphasis on waterways as routes for timber transportation could have led to a decision to do this. 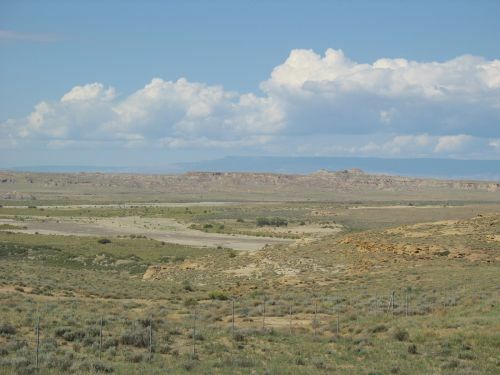 Since there is no real evidence that any of the timber did come from Colorado, however, this isn’t necessarily a major problem for the general idea. 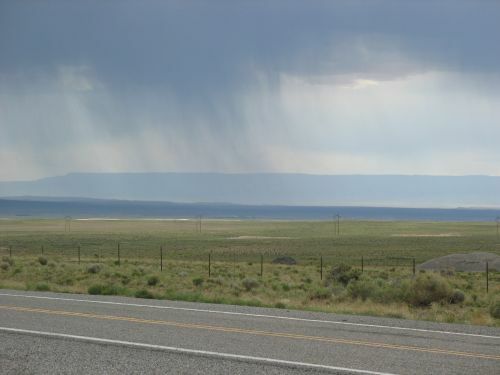 Most of the drainages in the southern San Juan Basin are intermittent and only flow at certain times of the year, which would have made transportation of beams a matter of careful timing. Again, the Chacoans certainly had the ability to time things like this well enough, so this isn’t the most devastating objection. Perhaps more importantly, the known sources of timber (established in the strontium isotope studies) are not upstream from Chaco. 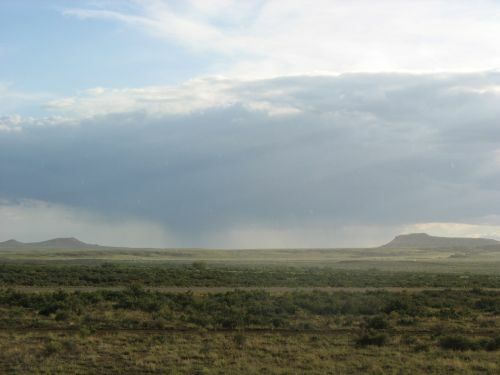 The eastern slope of the Chuskas does drain into the Chaco River via a series of eastward-flowing washes, but these washes enter the Chaco a considerable distance downstream from the canyon. 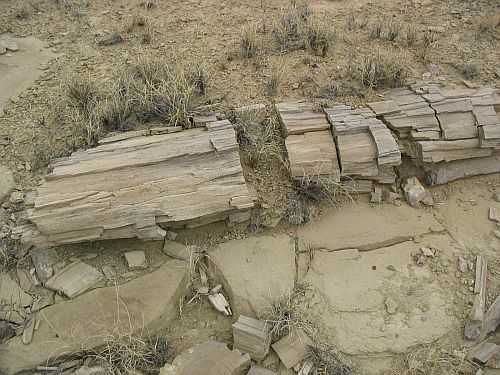 Trees from the Chuskas, therefore, which seems to have been the primary source of timber for the canyon, could not have been floated and would have to have been carried. The other major source area that has been identified, around Mt. 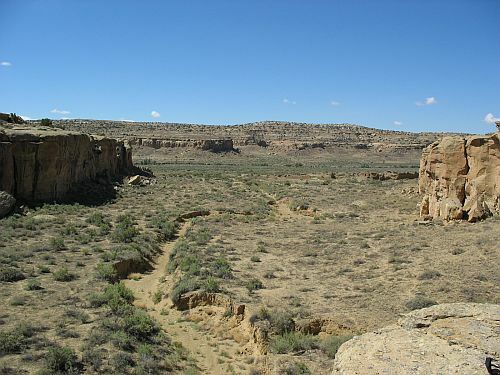 Taylor, is on the other side of the Continental Divide from Chaco and drains in the opposite direction. 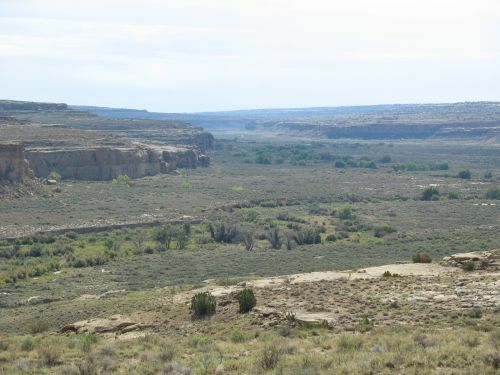 Furthermore, the Jemez, which doesn’t seem to have been a significant source of timber for the canyon, is upstream from Chaco. 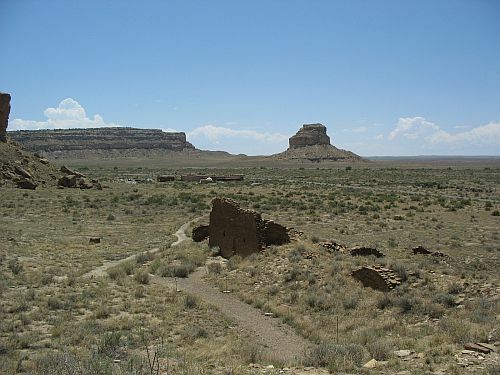 More precisely, while the Jemez Mountains themselves are on the other side of the Continental Divide, they are just barely so, and the Chaco Wash originates right along the Divide near Star Lake, about 20 miles from Cuba. 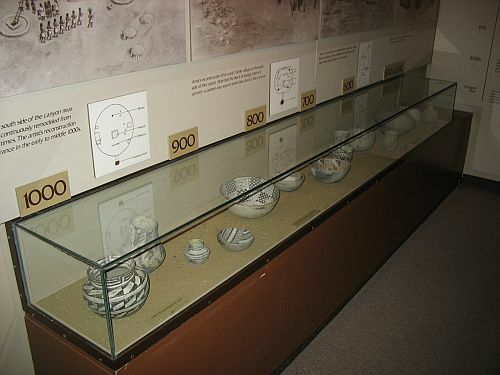 Since the Chacoans were clearly carrying beams 50 miles from the Chuskas and Mt. 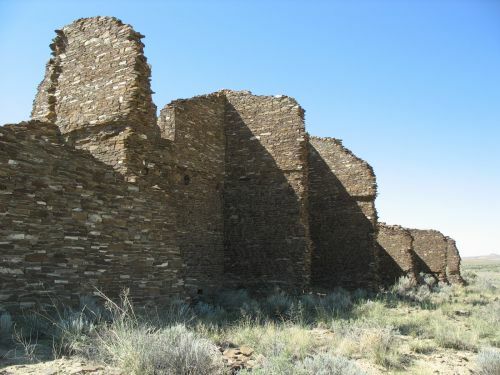 Taylor, they could easily have carried them 20 miles from the Jemez to the wash and floated them in the late summer when it flowed high from the monsoon rains. The fact that they didn’t seems to clearly indicate that waterways were not a factor in the decision-making process related to timber procurement. I’m not sure where this idea came from originally, but it’s certainly out there and I’ve heard it several times. 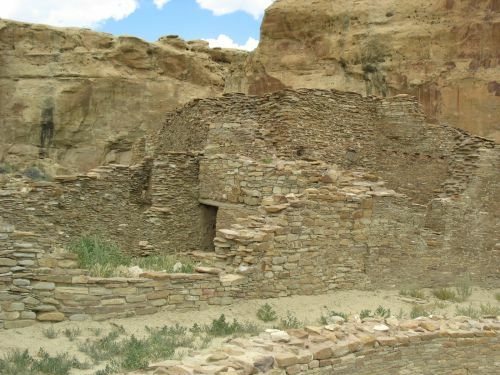 It may have started as a way to explain the anomalous location of Chimney Rock, which really is odd in a number of ways, including its combination of considerable distance from Chaco with extensive Chacoan influence. 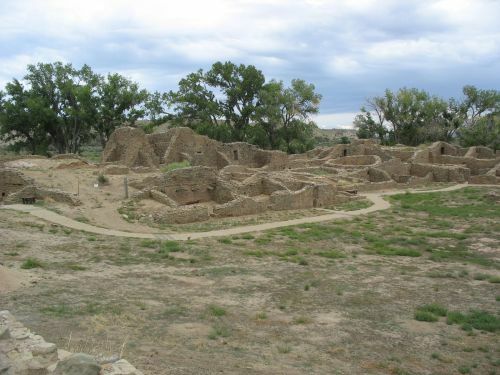 I think the evidence for an astronomical basis for the foundation of Chimney Rock is a lot more plausible than the idea that it was a lumber camp. 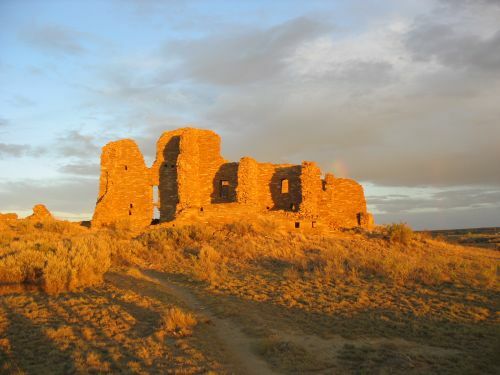 The idea of logs being floated from Chimney Rock to Chaco really doesn’t make much sense, and until any evidence for it surfaces (which I think is pretty unlikely) I’m not inclined to give it much credence.